that a State of Israel isn’t meant to exist until the Temple is rebuilt. So Jews and non-Jews alike who support the State of Israel as a manifestation of biblical prophecy are kind of jumping the gun (there are sects of Orthodox Jews who burn Israeli flags for this reason). 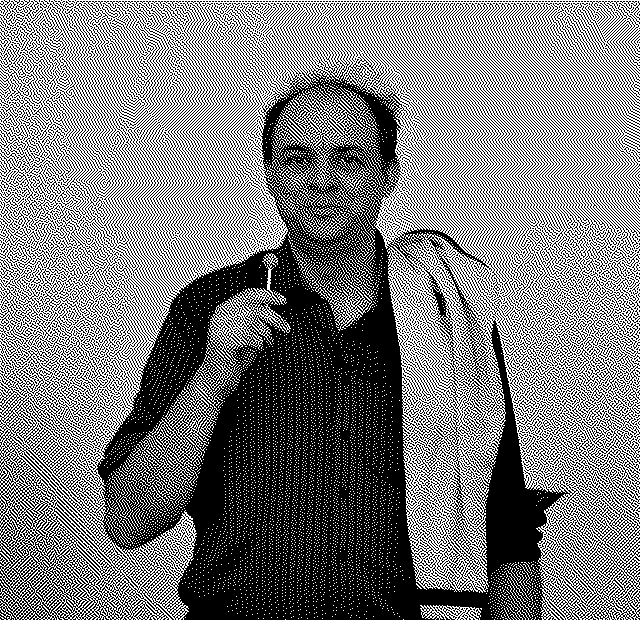 Philosopher Graham Harman’s cool Wikipedia portrait photo. Wondering what must lurk behind the thousands (millions?) of those removable office ceiling panels. My friend put a beating electronic metronome behind one once and it was a harrowing mission to find it and get it down. The tiny leaf floating in a spider web in the corner of my dorm room. The cartoon face a previous resident drew on an electrical box in the kitchen. The house in the neighborhood with what looks like a Beetlejuice figurine in the window. Going to the local family-owned deli to buy a styrofoam meat tray (unused) for a sculpture project. How the women’s bathroom on the second floor of the campus center has a door and the men’s does not. The weather being perfect for a new volume of the Dylan Bootleg series. Walking through a stranger’s burp cloud. Feeling benign togetherness (i.e. not necessarily patriotism) as a country waiting to wake up and vote. Imagining a universal basic income but for social media followers instead of money. This question about moral psychology: Imagine that your parent has asked you to deliver matzah ball soup to your grandpa, who’s sick. You didn’t have to spend much time thinking about the request, because you love helping others and, beyond that, you know it’s the right thing to do (i.e. it satisfies your first principle). But you’re also a little bit pained, because it’s a hassle to put on pants go out to the deli. So you think of a silver lining that could make it feel easier to carry out the act of service to which you’re already (mostly happily) committed: you can pick up a bagel for yourself. Now you want to deliver the soup not only out of your care for your grandpa and recognition of your moral duty, but also, technically, because there’s something in it for yourself. You would deliver the soup even if there were no bagel, and your care for your grandpa and sense of duty remain the objects of our decision to act (at least as far as you can see into yourself), so I think we can feel comfortable knowing that the bagel doesn’t “poison” or diminish the morality of the soup (and we could defend that on Kantian, utilitarian, and other accounts). But I’m wondering about this: Is our interest in the bagel really what I think it is—a mental trick we use to make it easier to fulfill our moral duty—or is it just plain old self-interest? Can we do things for ourselves that are actually motivated by duty or care for others, or is that a delusional way to explain away our simply wanting the bagel? Those questions might only matter if there’s doubt about the permissibility of the bagel in the first place. But I still think it’s interesting to figure out whether it’s possible to give ourselves self-interested reasons (carrots, or bagels, on a stick) to do morally dutiful things and if it’s preferable to do so. There’s this other, related problem where I feel guilty for delivering the soup in cases where it’s an excessive sacrifice of myself. I imagine my parents (who, in this hypothetical, weren’t the ones who asked me to deliver the soup) getting mad at me (with love) for not taking care of myself and for accepting a task I shouldn’t have accepted. So I add the bagel as a way of watering down the altruism of the soup. Does that make sense? Is it a disgusting humblebrag? Should I save it for my therapist? Philosopher Graham Harman, whose work I haven't read, but whose Wikipedia portrait is cool.